This happened yesterday – We settled down for a discussion first thing in the morning and a colleague says- smile guys, its a good day! But, it was a spirited discussion . And the smiles quickly vanished. We shared our views and debated. And I realised I was talking with a lot of emotional energy. I told myself, its ok – because I am committed and passionate about this. But there was clearly another voice telling me – its not ok.
And then something interesting happened later in the evening. 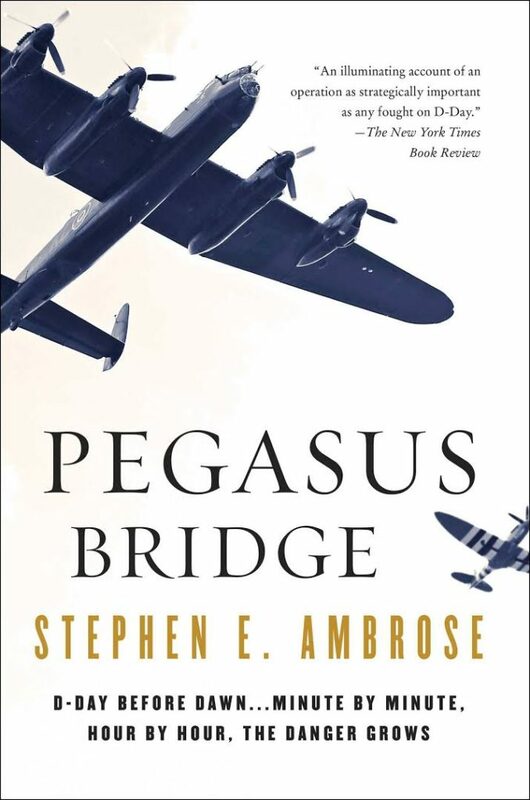 I was reading Pegasus Bridge June 6 1944 – By Stephen Ambrose and came across a section where it talked about the front in North Africa. In particular the book was introducing Hans von Luck – a protege of Rommel – who agreed with his British counterpart to fight a civilised war. Every evening at 5 p.m. the war would stop. The Brits would break for tea and the Germans for coffee. They would then get on the radio and share the details of captured personnel and any messages these POWs may have for their families – usually messages confirming that they were ok. In one particular instance, the Germans learnt that the Brits had got a fresh supply of cigarettes. Von Luck offered to trade a captured British officer for a million cigarettes. The British countered with 600K. And a deal was stuck. But the prisoner refused to be exchanged because he insisted he was worth the million initially asked for !! These are men at war. They are willing to kill and die. Yet they manage to keep humour and civility intact. I am lucky to have read about this incident the same evening I was telling myself its ok to lose my cool. It has helped put things in perspective. I went back to my colleague and shared this story. Thanked him for opening the meeting with a request to smile. He has decided to make sure that every meeting he attends, he would put smile(s) as the first agenda item. And I am inspired to go a step further. To keep humor intact at the workplace – the place where we spend most of our waking hours does not need to be such a serious place. How do we drive adoption for rules in a country, a community? Should a good rule be easily enforceable too? If we want to build a society where most follow the rules, enforceability should be an important criteria. To decide whether a new rule should be introduced or not. Whether an existing rule needs to be modified or scrapped. It is my belief, that when we have rules that can be easily broken without any consequences, it sends a signal to the community. And this signal usually leads to a gradual loss of respect for the law of the land and for the fellow citizens. 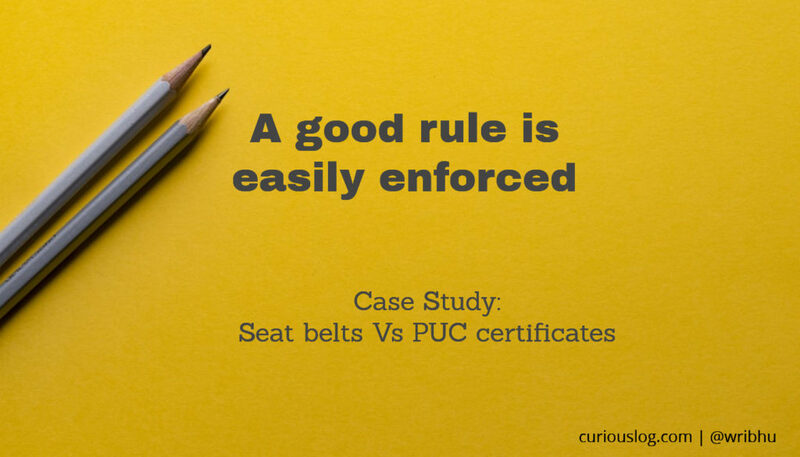 While both these were introduced in the last 20 years or so in NCR, the first one has seen significant levels of adoption whereas we all know that very few cars and bikes have a valid PUC certificate. If you ask me, the reason is very simple. For seat-belts, the fact that you are complying (or not) is visible each and every time you are driving. Any traffic-cop who sees you not wearing the seat belt can pull you over and issue a challan. So you run a very high risk of being punished if you are out on the road w/o wearing your seat belts. Contrast this with the pollution certificate rule. A traffic cop on the road has no clue if your vehicle currently has a valid PUC certificate or not. Hence the cop would rarely pull you aside asking for the certificate. It is usually asked for when you have already been stopped for some reason and they feel that they might put more pressure on you if you are w/o the PUC. Hence as car owners, we are usually not very afraid to drive w/o this certificate. The risk is just too low. And hence very few cars actually have a valid PUC certificate. So while almost everyone knows that the laws need them to drive a non-polluting vehicle, very few actually end up doing so. And I think its very simply just the issue of how easily the rule can be enforced. In my opinion we should have few rules, but all should be enforced strictly. 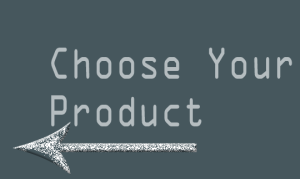 I have always been intrigued by product design and by extension policy design (& implementation). If the government were to look at itself as a start-up technology venture, the policies, schemes and guidelines issued by the government would possibly be the “products” of this venture. And like any good product manager, one should study not just the immediate impact of change(s) in product design but also the delayed and maybe stickier changes in consumer behaviour. And that is what I want to share with you today. Sometime last month, I was visiting an uncle of mine – someone who is in his mid 70s, reasonably fit, exercises regularly and has borderline diabetes. While we sat at the lunch table, I noticed that he had multiple other grains in his roti as against mine which was from just wheat atta. It seems most physicians recommend adding ragi, chana etc in your atta mix as a healthier alternative. And that’s how our conversation began. And what came out was quite surprising for me. It seems in their childhood days in villages of western U.P., wheat was not the staple grain. Infact it was considered a delicacy and wheat-chapattis were made when they had guests over. And he comes from a well-to-do farmer family. This was not because of economic constraints, it was just how things were. So as the elders started talking about this significant shift in probably the most important component in a typical North-Indian meal – roti – what emerged was that the shift was triggered by the Green Revolution in all probability. 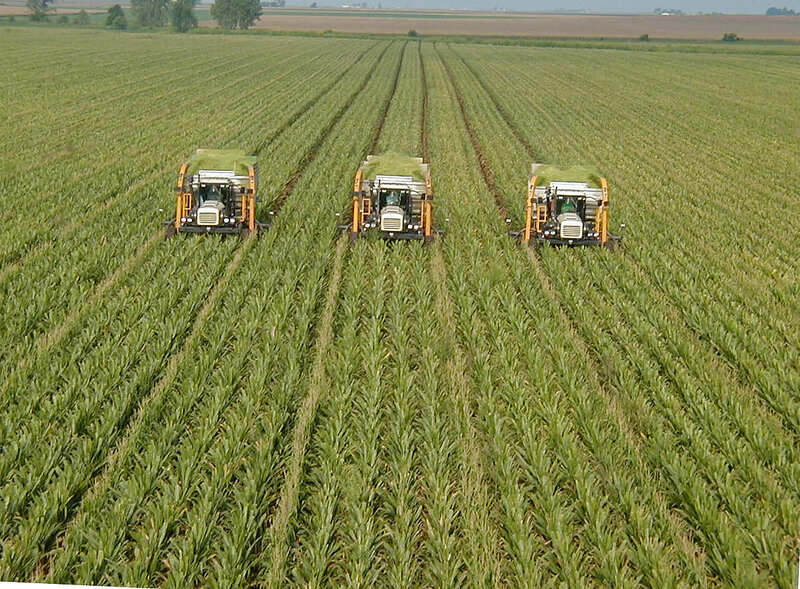 Wheat was one of the chosen candidates for green revolution . Though am very curious to find out why? And they all started eating wheat more, skewing our diet heavily towards this singular grain in North India. And the subsequent generation(s) like ours has come to believe that our rotis have always been a wheat-only product. Coz wheat rotis is what we ever saw. Am also very clear that India’s self-reliance on nutrition has been contributed heavily by progress on wheat and rice. So there’s no doubt that this has worked as planned. The fact that wheat may not be the healthiest grain is probably something new. Gluten intolerance was probably unheard of during the Green Revolution. But with the new facts before us, should the government re-evaluate its focus on just a handful of grains in its policies. What if, the support prices on wheat are relaxed a bit? What if other “healthier” grains are encouraged similarly? Will the cost of managing supply chains and warehousing for multiple grains offset the advantages of a wider-spread in our diet? Many questions and I don’t have any answers. Ask any elder who has seen standing wheat crop in the fields now-a-days vs in the old days. One thing they would tell you is that the wheat crop is now stunted. Its much much shorter. This am told, was probably one of the biggest breakthrough in developing High-Yield-Varieties. The nutrients and water is no longer “wasted” in the growth of the non-grain-yielding parts of the crop. But on the flip side – this has increased the cost of cattle-management for local farmers. Why? There just isn’t enough fresh fodder for the cattle. The non-grain part of the wheat crop was used as fresh and dried fodder for the cattle that the farmer had at home. This is gone. As my friend (who runs a dairy farm) tells me, procuring fodder is now a big challenge in most regions. I am not an economist or an agriculture scientist and probably have understood just a very small part of the whole picture here. The other day, my mom shared a powerful and thought-provoking quote, that she has just read. 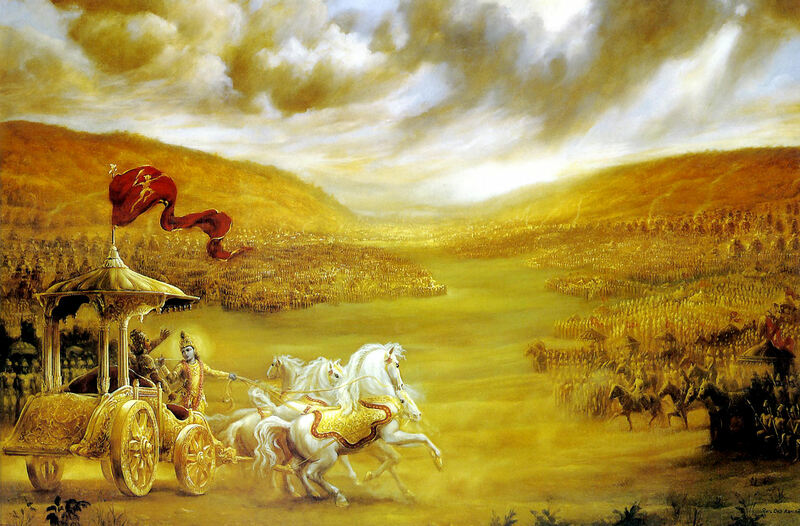 It’s easier to be Krishna, than to be Arjun !! And she went on to explain, that being Krishna requires one to look inside and discover the highest qualities that each of us are bestowed with. But to be an Arjun, one needs to be full of faith. Infact have so much faith and trust, that you see a Guru in your friend, who then becomes the Krishna in your life. Its a very powerful thought. To be able to trust someone or something so much, must infact be very liberating. Coz then you surrender all your worries, doubts and fears. I guess that’s why our ancient traditions laid so much importance on the role of a Guru. And its definitely true in our corporate lives too. We all need mentors. And for mentors to be effective, one has to let go of all fears, doubts and insecurities and share what we truly feel. Digital is the latest buzzword in banking. Not only are the bank boardrooms echoing with digital keywords, its what seems to be driving the pitches at most IT and Management Consulting firms. 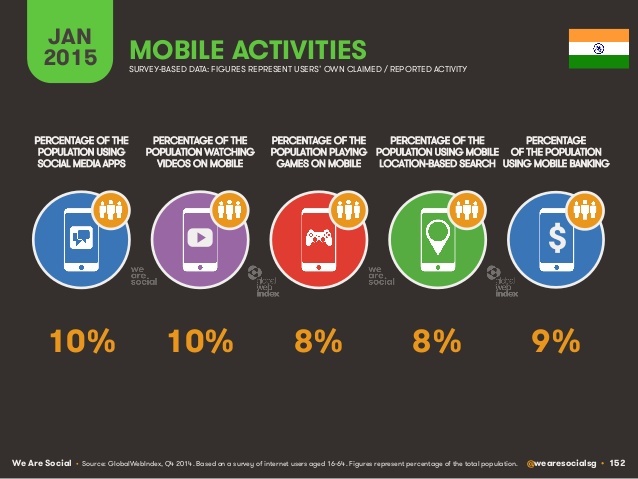 When the data tells us that 9% of the population already uses Mobile Banking, we know that Digital Banking Revolution is already upon us. In the last article, I mentioned, how the Digital Banking Journey will be different for each bank and why it might be a good idea for the banks to play to their strengths. Equally important is to acknowledge and understand, that partnerships will be essential in this journey. And what enables partnerships to work (apart from a culture and mindset) is a technology architecture that is geared towards APIs. APIs are like Legos – you own some, some you borrow – but put together you make something exciting. 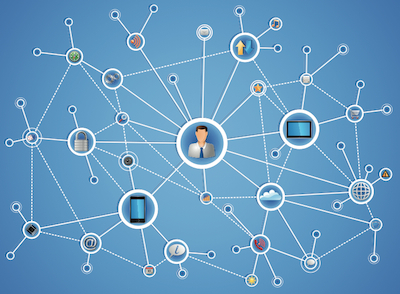 While the consumer technology companies understand this, banks have traditionally been slow to embrace deep connects into their systems. The risk is too high ! After all banks have been trusted with the consumers money and data. But to stay viable, banks will need to embrace partnerships, learn to publish and consume APIs, while still not compromising the customer promise. How to save the Boiling Frog? 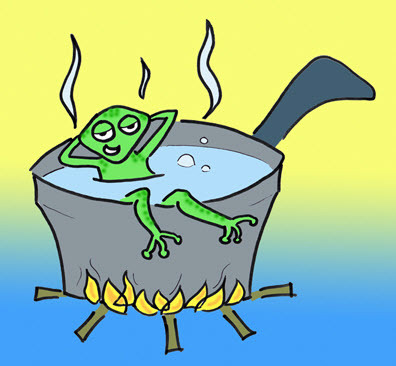 We have all heard about the boiling frog phenomenon – Put a frog in boiling water and it would immediately jump out. Instead keep a frog in cold water and heat the water slowly, the frog would just boil to death. While I don’t know if this experiment was ever done or not (one guy actually tried it and uploaded a YouTube video), or whether the frogs of today are smarter than their ancestors, but the underlying phenomenon is all too common in the corporate world. 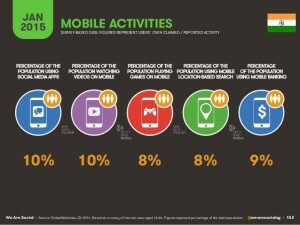 Companies fail to see the “inevitable change” in consumer behavior. They fail to notice or counter the growing might of a competitor. More often they fail to see the gradual but sure detoriation in culture, motivation of their teams. All because it happened gradually. So I was wondering what are the ways to avoid a Boiling Frog phenomenon? Get a frog from outside every once in a while : No brainer right? A frog which is not in the gradually-heated-waters would know that there is something wrong. The water is already too hot and they should jump out. Why then do most companies shy away from bringing in fresh talent? Why do we feel afraid of getting people from diverse backgrounds – unrelated industries, different academic, economic and cultural backgrounds. Let the frog see that the water is being heated : If our frog was smart and put in a transparent container, chances are it would see the flame or the burner. It might also note the rising temperature in the thermometer even if it doesn’t feel the heat yet. Will it help business leaders if they have real-time feed from the market about whats really putting them under stress. And if nothing works, just pull the damn thing out yourself. Are there other ways to save the boiling frog? Author WribhuPosted on February 7, 2014 Categories LeadershipTags Boiling Frog, RiskLeave a comment on How to save the Boiling Frog? Many a times, we face a situation where we feel that our team members do not have trust and confidence in us or each other. Whether its a corporate set-up or the political leadership of a country or a sporting team, trust and confidence are the key ingredients for a motivated spirited performance. And I think this can be done by just one simple thing – Say what you would do and do it ! Do this and you can gradually build trust and confidence in your team. I say gradually, because its a journey best taken with small steps. When Jeff Bezos said that he wanted Amazon to be the most customer-centric company, he followed it up with key changes like empowering customer care executives to do refunds etc. Why has Infosys been the stock-market’s darling for so long? Fail to do this and you start depleting the reserved trust capital. Narayana Murthy had once written a passionate article about how leaving Infosys was like giving away your daughter in marriage. But when he got his son in at the unexpected role, he lost a lot of the trust and respect he had built over years. And there are many ways one can fail in this. Are you not sure what is expected out of you? Or are you not confident enough to articulate it and sharing it with others? If its former, I guess some introspection and coaching might help. But if its latter, take the smallest of actions/goals and share it. Share it in the simplest of words, leaving minimal room for ambiguity. 2. Should I share my chosen path or the targeted goal? Share an action path if thats what you can stick to. E.g. We will track query resolution time as a measure of performance for our customer care department. Choose a goal if you are confident of achieving it. Do not start off with an overly ambitious goal. Strings of small success will get you the motivated team you need for the mega-win. Did the priorities change? If yes, did you update your stated goals/path? No? Then its a failure to deliver on point 1. 4. Did you try yet fail to deliver ? This is not a problem at all. Because your efforts would have been witnessed by atleast some within your team. They would know your determination and resolve to achieve the chosen goals and thats enough to build confidence. 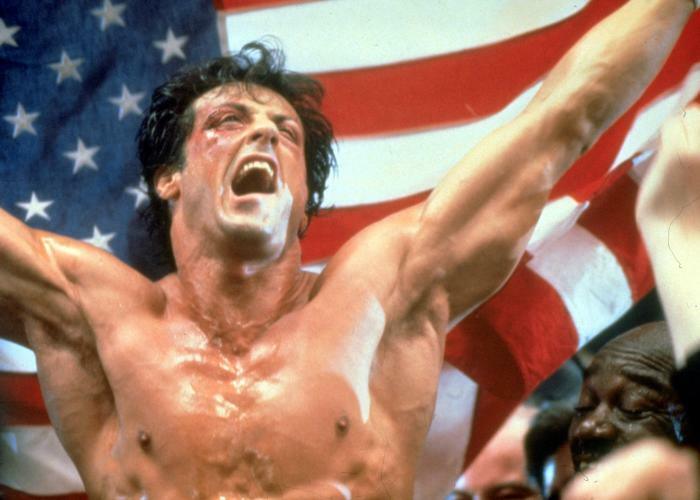 Personally I have always rooted for the underdog challenger – who is in the ring with the champion because he fought many rounds and spilled blood and sweat getting into the championship round. The reason sticking to this simple rule – Say what you would do and do it – is so critical is that it makes it easier for others to judge and evaluate you. It sends a clear signal about your priorities and allows others to start believing in those same priorities. I have had the privilege of working with some really smart leaders and looking back I feel they were very clear about what they (or their teams) are aiming at and ensured they either achieved it or did their very best getting there. 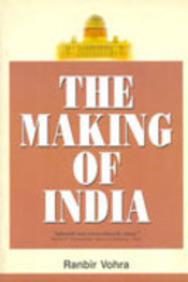 It was quite some time back that I read the book – Making of India – by Ranbir Vohra. This was December 2006 and I had a habit of taking notes from any book that I read. Sometimes even movies. So what you read below are my interpretations of the historical narration of India’s journey of acquiring its national identity. Good Leadership involves Policy Making. More effective than individual action. For Political leadership, this has obvious relevance, but I would feel safe betting that this is true in a business context too. Imagine the kind of ripple-effects that the CEO can create, by clearly articulating effective rules and policies. This would include not only the core values that the organization wants to pursue but also how to conduct itself in the marketplace. How is performance measure, how are incentives decided, how do you gradually build the culture and the DNA of the organization. All of these could be better achieved by effective policy making esp in the context of a big organization. Learn to trust your team and delegate effectively. Delegation is a pretty obvious trait one would expect in a leader. Motivation to delegate might differ. Some leaders might be inspired to create free time to think, like Jeff Weiner(CEO Linkedin) does whereas others might do it out of sheer laziness (which by the way is again a good virtue of a leader, if found alongside intelligence). Sometimes you need to lead a team of people you don’t trust or consider incompetent. Sometimes, with the bigger goal in sight, you might be forced to choose a path where you end up leading a team of people you don’t really trust. Or whom you consider grossly incompetent. And inspite of your drastic opinion if the party(or organization or team) enjoys the support of the people (or the market in case of an organization), it wouldn’t be wise to remove them as the first step once you assume charge of the new office. Create an able leadership that is recognised by making the machinery work and slowly remove them in a phased manner. While this might sound scheming to many, I saw this as a way to keep the bigger interests of the party at the center. Sometimes when you are stuck in a tough negotiation situation, a serious distraction might help. Create a new clause and pretend that this is what matters most to you. But be careful to choose something that the other party would find almost impossible to concede. Now with this new clause coming in, the other party (hopefully) focuses energies there and might go easy on the original bone-of-contention. Need for Symbols. How do you inspire people? Gandhiji’s Dandi march is a great example of how you build support. Find something that many can relate to or find an activity that many can participate in. 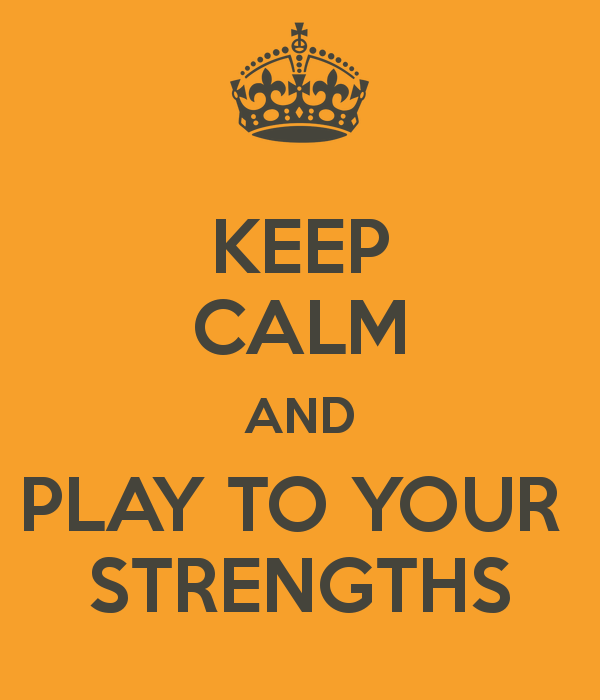 Symbols can similarly act as a strong rallying point for your team/supporters. Symbol doesn’t necessarily have to be a prop or a logo or an image. It could be a simple tradition – like wearing Khadi . Create traditions that can start to mean a lot to people involved over a period of time. And you might end up creating a legacy that generations can relate to. Also it is important to stay connected with your organization. Stay connected by talking to them regularly. Start by clearly articulating a dream, a vision, a reason to exist (for you, for your professional self, for the party or for the organization). And then keep re-iterating this vision. Make them believe in it as much as you do.